These days, I can't come to Tokyo and not pay Tamanegiya (酒たまねぎや) a visit. And ever since I introduced Fergie to this place on our trip together last year, it seems that he can't do without a visit, either. But we were having serious trouble juggling all the meals we had already planned, and the only free night seemed to be tonight. Which was unfortunate, because this place doesn't open on Sundays and Mondays. We were so screwed. Then I was checking Tamanegiya's website, and discovered that they've actually been open on Sundays once in a while. That got me kinda worked up, and I had Fergie call them up and check. Yes, they were doing some trial runs of opening on alternate Sundays, but weren't sure whether they would be open tonight. When the website showed a couple of weeks ago that they would be open tonight, I got so excited that I called up Master myself and made a reservation. We would not leave Tokyo without drinking some yummy sake! So... after a delicious yakiniku (焼肉) dinner, we found ourselves sitting in familiar surroundings. Master only had one other customer tonight, so we pretty much had his attention the whole time. Even better, the wife's not in the house! Yay! First some welcome snacks, which includes some fish braised in soy sauce, along with some tomatoes and a cape gooseberry. Served in a little kintsugi (金継ぎ) bowl that is just a thing of beauty. 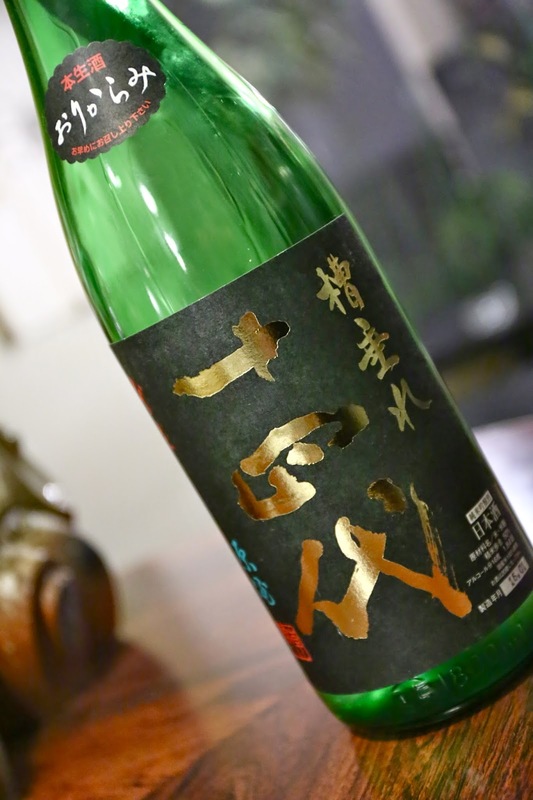 Juyondai Junmai Ginjo Funatare Genshu Origarami (十四代 純米吟醸 槽垂れ おりがらみ) - released in January 2015, with a seimaibuai (精米歩合) of 50%. This comes with some sediment (おり). Nose was very fresh, with banana notes. Smooth on the palate, a little sweet at first but balanced and a little lean on the finish. Hatsukame Daiginjo Yuzuki (初亀 大吟醸 遊月), 25BY - a 24-month koshu (古酒) with a seimaibuai of 35%, and a limited production of 100 bottles. Very mild, not sweet on the palate, a bit more acidic and lean but not spicy (辛口). Second sip became more spicy, with a longer finish. A little one dimensional... Released December 2013. 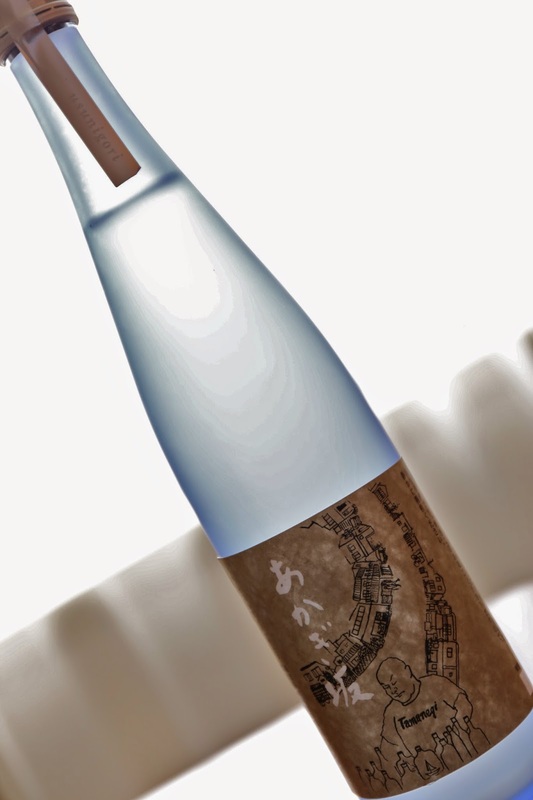 Hatsukame Daiginjo Yuzuki (初亀 大吟醸 遊月), 26BY - also limited to 100 bottles. Fresher on the nose and on the palate compared to BY25. Leaner and even more one dimensional... Later the nose became sweeter and more tropical. Released December 2014. Isojiman Nakatori Junmai Daiginjo 35 (磯自慢 中取り 純米大吟醸 35), 25BY - fruity and sweet nose. Sooooo smooth on the palate... I could drink this all day. 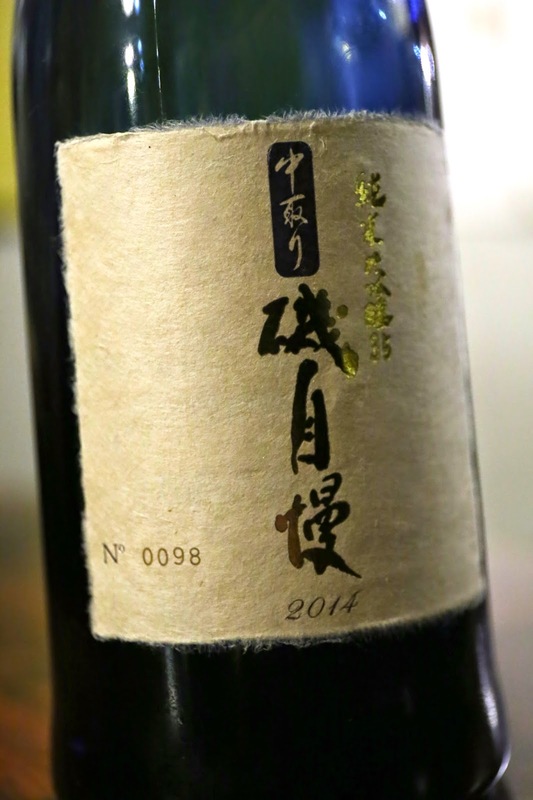 Suigei Junmai Daiginjo Tobintori Nama (酔鯨 純米大吟醸 斗瓶取り 生), 14BY - this is a 12-year old koshu made in June 2003 and aged in-house, with a seimaibuai of 30%. Nose was very savory, very much like Chinese Huadiao (花雕) wine with salty plum (話梅) soaking in it, but really smooth, light, and soft on the palate. Not quite satisfied, I asked him for something else that was old. He then pulled out this little gem from one of the fridges, and my eyes lit up when I saw the writing on the box... Showa 38?! Holy cow! This is from 1963!!! 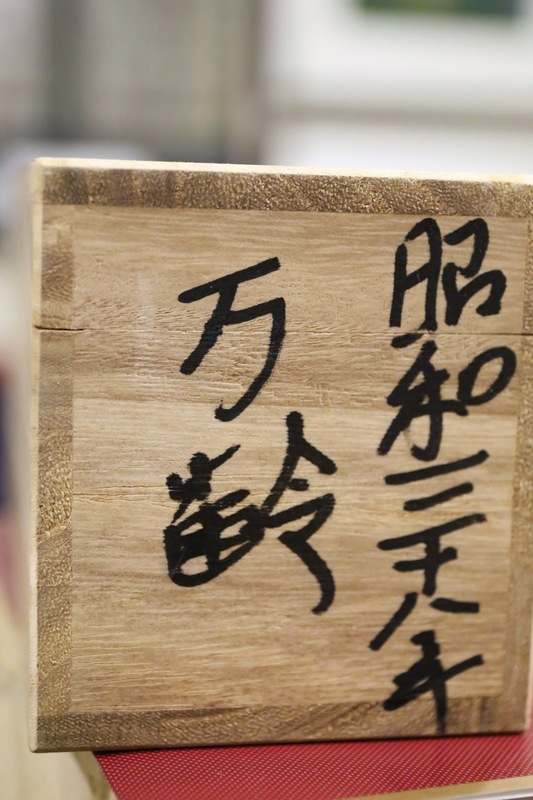 Manrei Daiginjo Daikoshu (万齢 大吟醸大古酒) - Master poured a a little bit from the 300ml bottle and told us it was his treat to us. Nose was really savory, like salty plum. Really soft and mild on the palate, with a pretty short finish. But the incredible fragrance of the sake stayed in my mouth forever. Wow! So grateful Master shared this with us! With a seimaibuai of 50%. 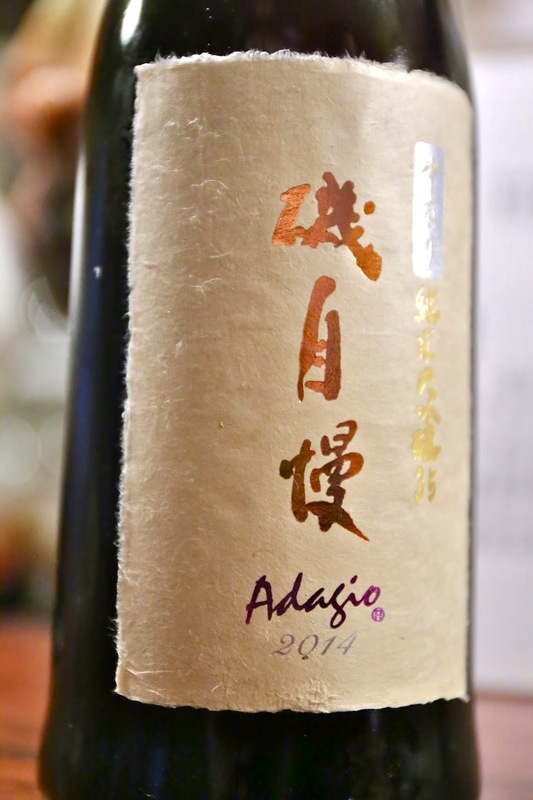 Isojiman Junmai Daiginjo Nakatori 35 Adagio (磯自慢 純米大吟醸 中取り 35 アダージョ), 2014 - this is a 3-year koshu. Sweet on the nose, a little floral. Really smooth and mild, but actually simpler on the palate compared to the regular Nakatori 35. Next we tried to continue the tradition of doing verticals, and Master brought out a trio of Isojiman Junmai Daiginjo 40% Tojo Akitsu Tsuneda (磯自慢 純米大吟醸40 東条秋津常田). This comes from a particular plot of land for rice, and therefore expresses the terrior the same way it would for wine. Even though one of the vintages already has a bottle open (25BY I believe), Master insisted on opening a fresh bottle so that we can taste all three vintages the same way - fresh. Isojiman Junmai Daiginjo 40% Tojo Akitsu Tsuneda (磯自慢 純米大吟醸40 東条秋津常田), 26BY - very smooth, a little fruity, a little dry on the finish. 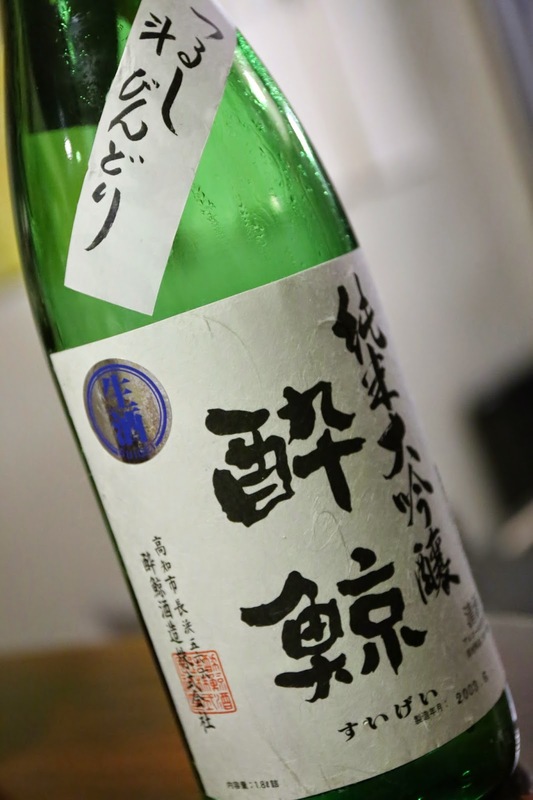 Isojiman Junmai Daiginjo 40% Tojo Akitsu Tsuneda (磯自慢 純米大吟醸40 東条秋津常田), 24BY - softest of the three. Delicious. Bijofu Yuzu Liqueur (美丈夫ゆずリキュール) - I can't come to Tamanegiya without drinking this at the end. Five years ago Master introduced me to this wonderful yuzu liqueur, and I immediately bought a whole case and shipped it back to Hong Kong. Drinking this on ice is sooooo refreshing... and just what I needed at the end of a long night of drinking. As we thanked Master on the way out, past his appointed closing time - and very thankful that the wife isn't around to kick us out earlier - I mentioned to Fergie that Master has a sake specially made for him, with Master himself on the label. This is made by Bijofu (美丈夫) and the label is drawn by one of Master's customers. Seeing that we've been pretty good customers, Master reached into his fridge and pulled out a couple of bottles and gave them to us as gifts. Wow! Definitely something very special! 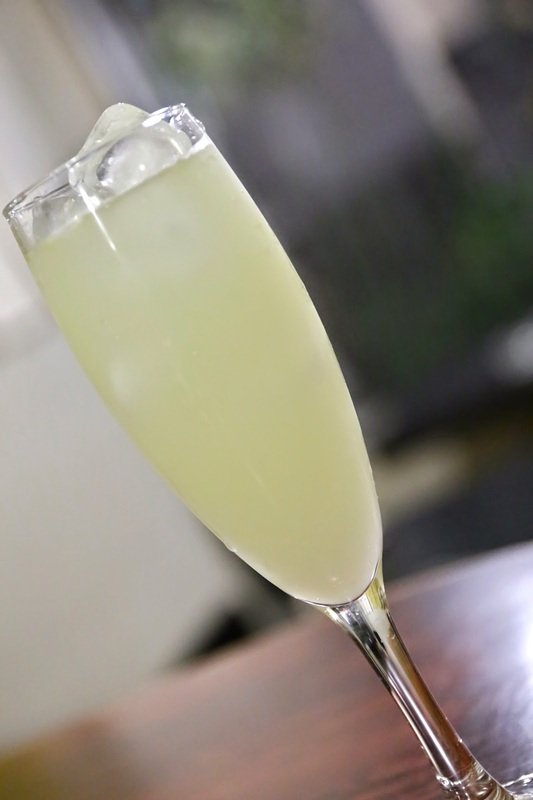 Thanks for your sharing, I've bought bijofu yuzu liqueur in my last tokyo trip, it's really really good!